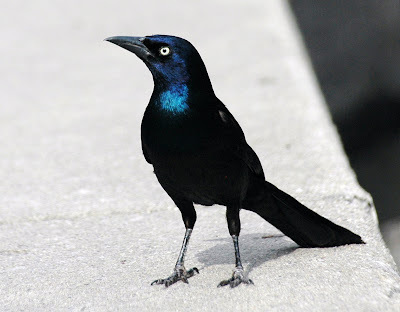 Just sharing a few photos of this Common Grackle that landed right next to me while at the Naperville Riverwalk last weekend. Enjoy. Thanks, tomorrow I will feature Great White Egrets. 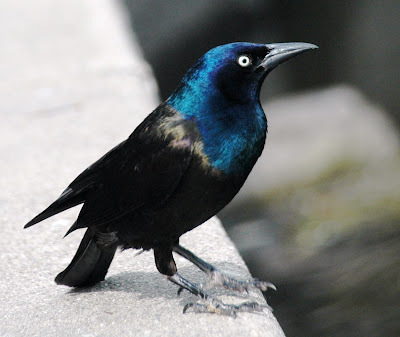 The bird looks like angry. 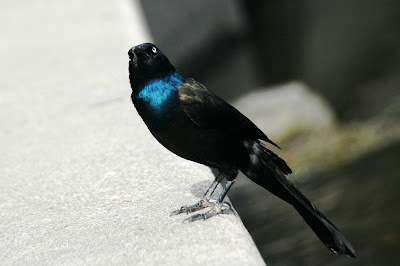 the bird is very pretty..
What Camera you used to take this picture? Great Shot Sister! I used a Nikon D70 camera with an AF Nikkor 200 mm lense.